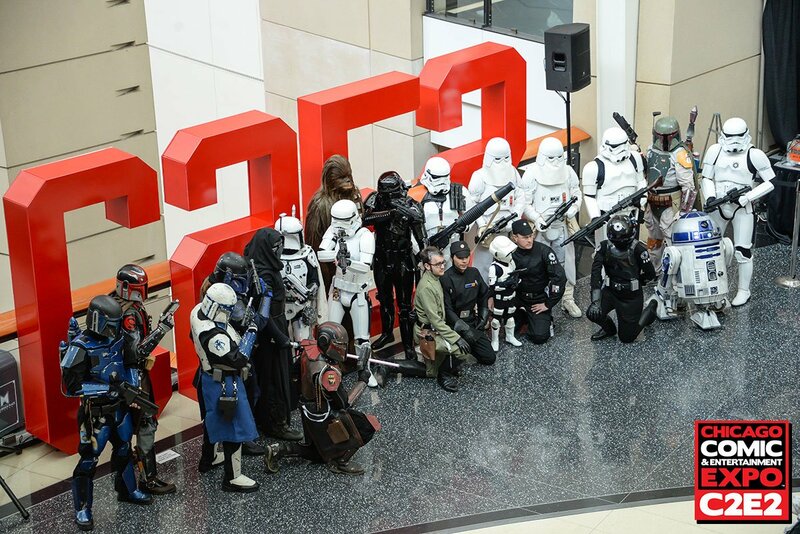 Since its inception in 2010, C2E2 has become one of the largest and most popular conventions in not only the Midwest, but the national circuit. Gradually growing in numbers from 27,500 to an astounding 80,000 in 2017, I have no doubt that the 2018 numbers will be even more impressive. This Chicago based convention continues to knock it out of the park each year, and 2018 was certainly no exception. Something that sets C2E2 aside from its competition, in my mind, is the heavy focus on ensuring a fantastic show for the creatives in the industry. Although the show itself is enormous and certainly boasts plenty of vendor variety, making it your one stop shop for accessories, apparel, toys and home goods alike, I have yet to find a better maintained artist alley at a convention. As a person who spends a lot of time reading indie comics, both for enjoyment and review purposes, being able to navigate through an impressive, yet organized artist alley is key. 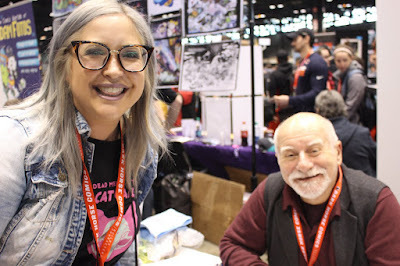 It’s clear that C2E2 prides itself on locating the best talent in the industry when it comes to comic writers, artists and publishing companies. I had an opportunity to spend a significant portion of my weekend perusing all of the booths in artist alley this year and was able to purchase some of my favorite recently reviewed comics, as well as some potential new ones. I feel like I also must note that I was honored to finally get to meet the duo behind my favorite series of the year, Long Lost. Matthew Erman and Lisa Sterle were at C2E2 this year and not only did I get the chance to chat with them a little bit about what I had to look forward to in the coming months, but also got my hands on print copies of the series thus far before they inevitably sold out of every book they brought with them. I was able to talk to quite a few writers and artists who had similar experiences during the weekend. Hitting the road and having a solid convention schedule is important for creators in the industry, and I have yet to meet a person who has been disappointed during their weekend at C2E2. C2E2 certainly offered some big names in pop culture, such as This is Us’s Milo Ventimiglia and Justin Hartley, Guardians of the Galaxy star and wrestling legend Dave Bautista, and Charlie Cox of the Marvel Netflix series, Daredevil. C2E2, which is a Reed Pop convention, certainly knows how to handle their celebrity guests and those attendees who are there more specifically to see them in the most convenient way. As opposed to many of the conventions that force you to wade through the crowds waiting in line for celebrities in order to even get to the exhibitor booth or artist alley, C2E2 keeps the autographing and photo ops separate and further out. The lines for celebrity guests were certainly daunting, particularly on Saturday, but the fact that they used the entire back section of the show floor and kept it separated from exhibitors with extremely large aisles worked really well to make it seem less congested. I think that one of my favorite parts about C2E2 is that you do have to go through the exhibitor sections in order to get to the back of the floor, which hosts all of the celebrity appearances. Whereas so many cons focus mostly on the celebrity guests and tend to overlook exhibitors and creators alike, that is not the case with C2E2. Though they of course offer stuff for everybody, and even I get excited when certain guests are announced, I really have a great level of respect and appreciation for the fact that they take care of the smaller names in the industry too. There was a great variety of exhibitor booths in which I found myself once again spending way too much money for things that I simply could not do without. Saturday was definitely by far the most congested and packed day of the convention, per usual, but I still have found C2E2 to handle the masses better than a lot of conventions. 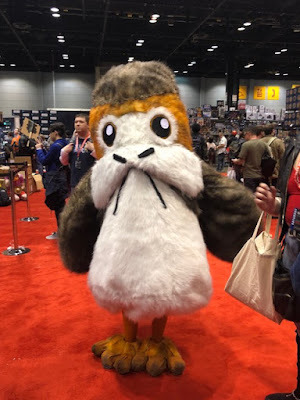 After attending the largest Reed Pop Convention, New York Comic Con, last year in October, I was a little bit worried that the growing number of C2E2 attendees would start making my favorite convention feel overwhelming, but so far so good. I am not sure if it’s just that they have capitalized in finding the best location to host a convention, that the staff and volunteers are just exceptional, that they have the best outlook when it comes to layout, or perhaps a combination of the three, but I still find C2E2 to be the best convention of my year, and quite frankly, the best convention I have been to to date. The one absolutely glaring and exciting highlight of my weekend had to have come Sunday morning. I was able to meet and chat with the one and only Chris Claremont as well as have him sign a print for me. After I was given the amazing opportunity to interview him via a phone call back in January, it was a distinct honor to be able to both thank him in person for doing that as well as chat with him a little bit further. From comics, movies and even a little bit of a political commentary, as usual, he is a breath of fresh air in the industry. C2E2 once again succeeded my expectations. For such an enormous convention, it is organized, well run and a con clearly for comic fans and both new industry veteran creators in the industry. In a world where many conventions are catering more to celebrity appearances and cosplay specific events, finding a convention like C2E2 is truly an experience that I think any comic fan will enjoy. The folks that run C2E2 have, on more than one occasion, stated that they listen to fans, attendees and vendors alike when it comes to planning the event, and it is clear every single year that they continue to give the people what they are asking for. As much as I have love for every aspect that takes place at comic conventions, I wish more cons would take note from how C2E2 is run each year and learn from their growing numbers and fan base.